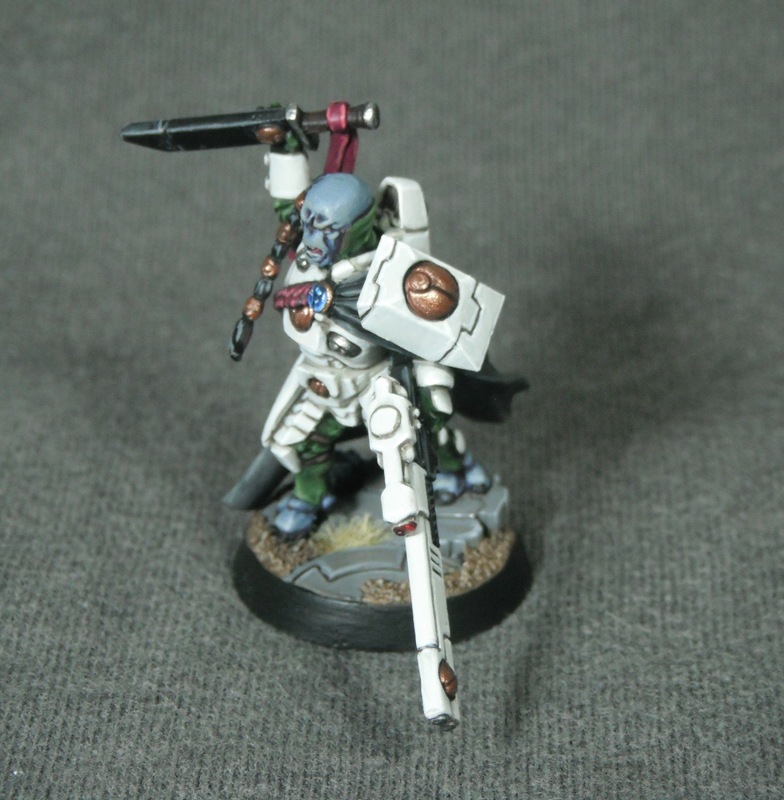 Here is a Tau Fireblade I painted as a gift for a friend. 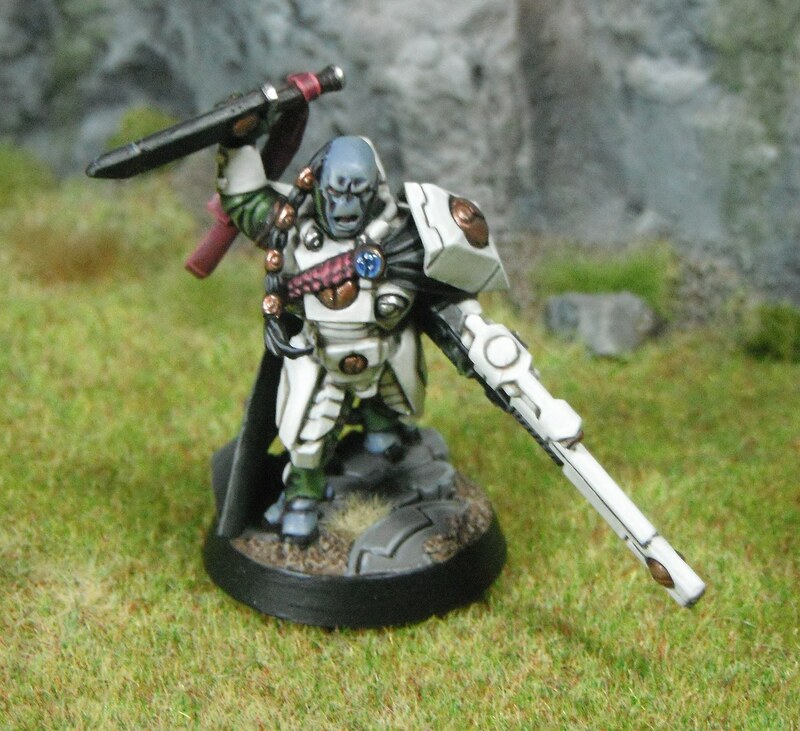 The colour scheme is based on his Tau army who wear green fatigues and white armour. It was quite challenging painting a model in someone else’s colour scheme and there were times when I wasn’t sure what colours to use on areas like the cape and detailing that are not found on regular fire warriors. 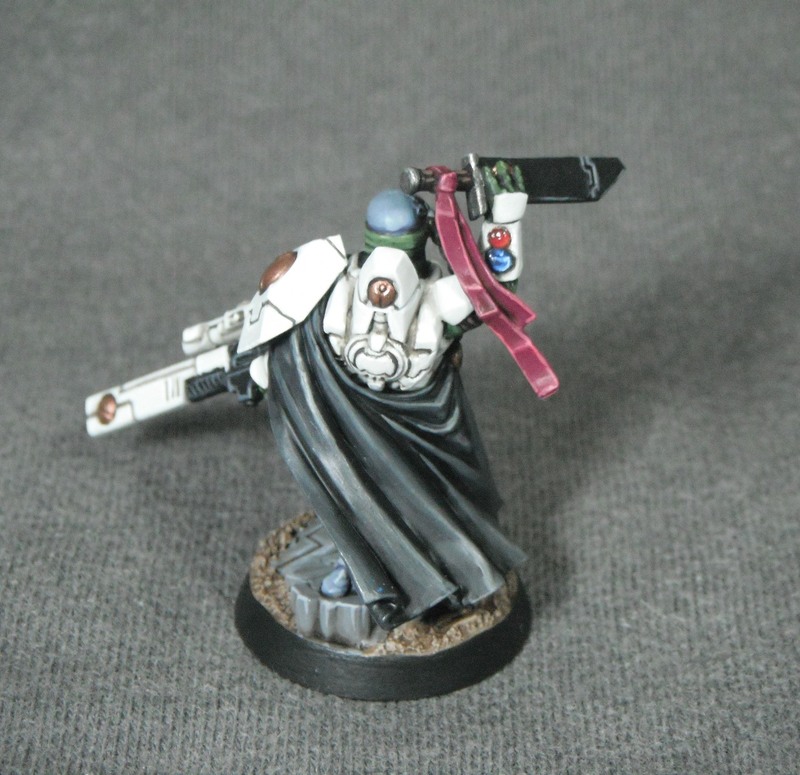 The white is based on an ‘Eavy Metal Masterclass in White Dwarf for a white Scar model and is basically Space Wolf Grey and Steel Legion Drab with increasing amounts of white added and painstakingly layered up in numerous thin coats. The recesses were then shaded Charadon Granite before a final edge highlight of pure white was applied. The green is VMC Luftwaffe Green washed with Agrax Earthshade before being highlighted with Loren Forest and Straken Green. The purple detailing was added using Screamer Pink washed with Carroburg Crimson and highlighted Emperor’s Children. 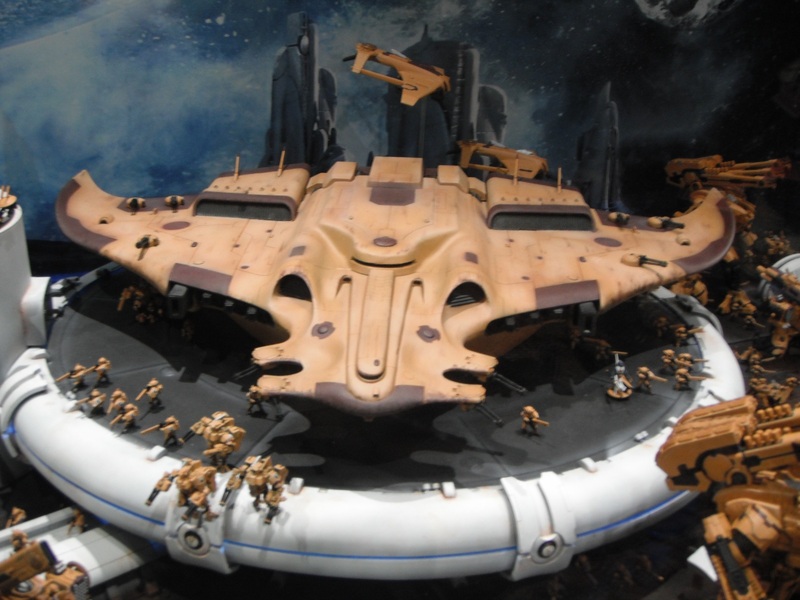 The skin of the model was painted following a guide White Dwarf 356.